Me writing about how to manage your time is a bit like Wile E. Coyote writing about how to catch a roadrunner. Still, I’ve learned a couple of things this year (most of which is probably already common knowledge) which have helped me become a bit more productive. Previously, I would spend a lot of time waiting for things: Waiting for water to boil, pasta to cook, a line to progress, the gas tank to fill, et cetera. Like many people, I am not fond of waiting. It is only seldom I manage to not let it bug me to one degree or another. Too bad for me, because life is full of waiting. My solution? Stop Waiting. Start Doing. How many opportunities do you see here for waiting time? I see, oh, a full metric honkload. 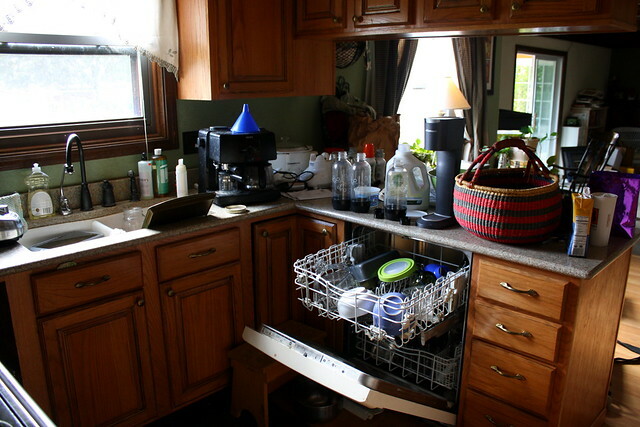 While waiting for the pot of water to boil, I’ll unload and load the dishwasher and wipe down the counter tops. While in line (on foot, in the car or on the phone,) I’ll catch up on email or G+, call in prescriptions for Mom, schedule her next SpecTran ride, or check in with her nurse case manager, or pay some bills online or simply read. My goal for waiting time is not just to make the time pass more pleasantly, but also to be productive. 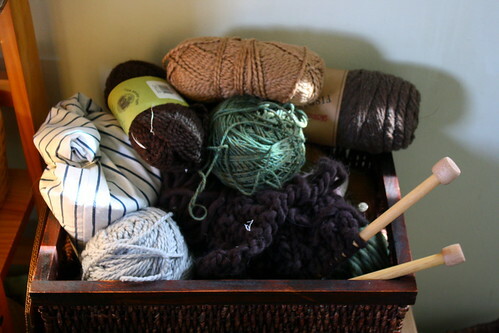 Once I get this crocheting thing down, perhaps I’ll be able to do that, too; fiber arts seem to be an awesome way to pass the time for those who are good at them. Heck, a small cross-stitch or hand-sewing project would work, too. Toward that end, I’m spending time today watching videos on crocheting and trying to overcome this stupid left hand injury. I am still practicing these skills, and while they’re coming more naturally after a couple of months, it’s still something I need to continue working on. The next post will be applying oneself to one’s chores, and was largely inspired by my friend Aaron’s comment on yesterday’s post. While I was thinking about Zen as it applies to work and chores, one could also apply it to today’s topic – waiting. We could use our waiting time for gentle meditation and thought, and that would also certainly be beneficial. How do you spend your waiting time? I usually have a book with me in the car. Sometimes I grab my DS, for night rides, or when I need the time to just not think. If I know I’m going to be waiting for something, somewhere, I make sure I have a way to keep my brain occupied. I used to take knitting with me to D&D, or bonfires. I read my mail while I watch tv. If I’m making bread, I will usually plan out a faster dish — dinner, cookiees, a quickbread. >How do you spend your waiting time?